Photos — Look for properties with great photos of the interior and exterior that help you envision the vacation property. If the property states that there are 4 bedrooms and you only see photos of 2, ask for more! 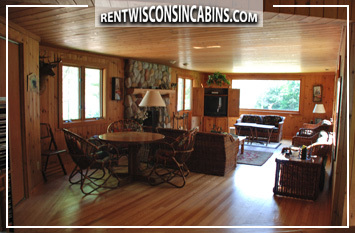 Don’t let yourself be surprised when you show up to your rented vacation property…you should have a pretty clear idea of what to expect beforehand. Details — Some property owners include fantastic descriptions about their vacation properties. You’ll want to get a pretty good idea of the layout of the home, any unique features, and area activities beforehand. Property owners love to put on their tour guide hat, just ask for more information! Location — Many vacationers are looking for a specific vacation setting when traveling. 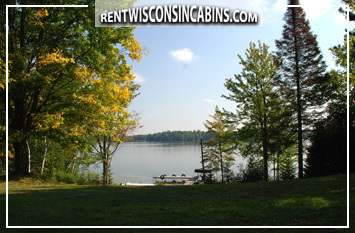 For example, a WI traveler may search for properties on a lake or snowmobile trail. It is important to distinguish what an owner defines as “Near the Lake” or “On a Snowmobile Trail.” If you are not finding clear answers regarding the proximity of the rental to whatever setting you are searching for…ASK. Configuration — Included in many of the owners detail sections is how they accommodate their guests. If the property sleeps 6, find out how the property does that – what are the bed sizes, are some of the beds sleeper sofas? What to Bring — Don’t forget about the basics. What’s included in the kitchen and what linens (if any) need to be brought? 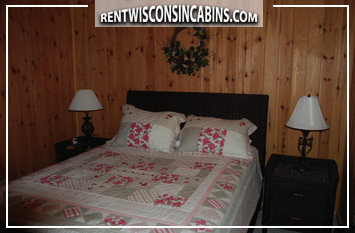 Then think about the specific amenities that your vacation rental offers. If the property is on water …Do you need to bring life jackets? If there is an outdoor firepit …Do you need to bring wood or a fire fork to cook s’mores & hotdogs? If the property has a washer/dryer …Do you need to bring detergent? Communication — It used to be that a vacation would cut off your communication with the outside world. Nowadays, staying in contact via internet and cell phones is very important to some vacationers. Cell phone coverage greatly varies between various vacation properties and it may be worth your time to ask if you’re concerned. Cleaning — Ask the owners if you’re expected to clean at the end or beginning of your stay. Many properties do this for you, but may apply a cleaning fee. Because each property is different, ask beforehand so there are no surprises. Extra Guests — Many vacation properties base their pricing on the number of people staying at the property. Look for specifications as to how many guests the property sleeps and if there are extra surcharges associated with extra guests. Don’t let hidden fees surprise you, get all the information from the start. Questions — If you have questions, don’t hesitate to call or send an email.